Hear the voices of women of color on the most important subject in any age—the word of God. 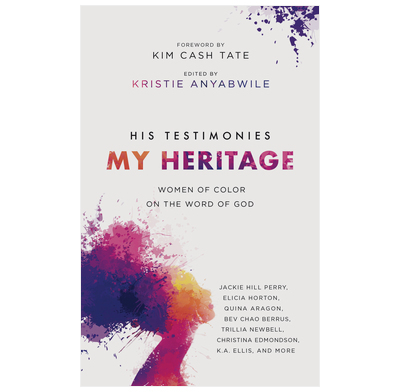 This inspiring collection of devotions is by a diverse group of women of color—African-Americans, Hispanic, Caribbean, and Asian women. Contributors include Kristie Anyabwile, Jackie Hill-Perry, Trillia Newbell, Elicia Horton, Christina Edmondson, Blair Linne, Bev Chao Berrus and more. It is a faithful exposition of Psalm 119 and incorporates each contributor’s cultural expression both within the teaching and as they bring the word of God to bear on their lives. You will be thrilled and encouraged by hearing God speak through his word as it is expounded by these faithful women teachers, and you will long for more.